The normal amount and type of facial hair in women varies. It is most common or normal for women to have fine facial hair on the outer corners of the upper lip and also on the chin. This normal facial hair is best described as peach fuzz. Today’s society is becoming less and less accepting of body hair including facial hair. Thus even though it is normal for women to have facial hair many are using different methods of facial hair removal to conform to ‘society standards’ of normal facial hair. A survey conducted in 2010 of 1,000 women in the UK revealed that 98% of women with facial hair have negative thoughts about their appearance. The survey also revealed that approximately 30% of these women experienced anxiety should they be unable to immediately remove the unwanted facial hair. The lack of acceptance by society regarding facial hair in women was also exposed by the survey results. The survey found that 50% of the women stated that they felt uncomfortable discussing their facial hair issues with their family. Almost 70% said were uncomfortable regarding any conversations with friends on this matter. The amount and type of facial hair that is normal for women changes at different stages of her life. During puberty (usually beginning between the age of eight and eleven) there is likely to be an increase in growth of facial hair. This is quite normal as it the growth of hair that will also occur under arms on in the pubic region. Normal facial hair growth in women during puberty is a thin amount of hair growth on the corner of the mouth as well as on the chin. The change in oestrogen levels in women when they go through menopause often results in an increase in facial hair. Menopause usually starts in women between the age of forty and sixty. The nature of the facial hair also may change and become more coarse and thick. Whilst this is normal many women become self conscious and seek ways to remove the additional hair growth. One potential solution is to consult with your GP who may recommend hormone treatment or the use of contraception pills. Besides the changes to facial hair caused by different stages of a women’s life, there are also other factors that affect the amount of facial hair in women. These include a woman’s ethnic background and inherited genes. The amount of normal facial hair in women is often dependent upon a women’s ethnic background. Women from Asian countries normally have only small amount of facial and body hair. Interestingly, although African-American women normally have fewer facial hairs, they can be troubled with in-grown hairs after hair removal. The higher chance of in-grown hair is due to the curliness of facial and other hair in many African-American women. Those women from Mediterranean countries (including Greece and Italy) and also from the Indian sub-content tend to have more facial hair than women in other parts of the world. It can be argued that the greater amount of facial hair some of these women experience is not in fact normal but is rather the result of a small hormonal abnormality. 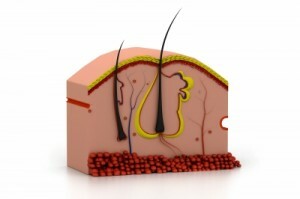 Genetics plays a large role in facial and body levels of hair. Thus if your parents have what is considered to be above average facial hair, there is a good chance that this will occur for you too. Whilst this is in fact normal facial hair, it is often unwanted and women adopt different methods of facial hair removal as they are embarrassed by the amount of facial hair that they have. If you have more facial hair than what has been described above, you may have an abnormal amount of facial hair. The only certain way to tell if your hair growth is abnormal (a condition called hirsutism) is through a medical examination conducted by your Doctor. Hirsutism results in a large amount of facial hair and is caused by androgens. Abnormal facial hair growth can also be result of polycystic ovary syndrome (POS). POS can cause hirsutism along with a number of other medical conditions. Should you experience a large increase of facial hair growth, please consult with your Doctor to hopefully exclude the possibility of Hirsutism or POS. There are many temporary methods of removing unwanted facial hair including waxing, plucking, creams and laser treatment. There is however only one permanent method of facial hair removal and that is electrolysis. It is a safe and effective method of permanently removing unwanted facial and other hair by killing the cells from which the unwanted hair is growing. Besides being the only permanent way to remove facial hair electrolysis is also not as painful as some other temporary facial hair treatments such as tweezing and waxing. Unfortunately the results of total removal of your unwanted facial hair will not occur overnight. It will happen, but a program of treatments is required. With over two decades of successfully permanently removing facial hair removal for literally hundreds and hundreds of women Elaine Marley D.R.E. will be able to help you. Elaine is fully qualified, highly skilled and ensures that she has the most up-to-date knowledge and electrolysis equipment. Elaine offers all women seeking permanent facial hair removal a free consultation at her clinic in Toowong. During the consultation Elaine will explain how electrolysis works and how it would work best for you. She would also then provide you with a treatment program tailored especially for you. The tailored treatment will take into account your type of facial skin and hair as well as your budget and potential time constrains you may have. If you are looking for more information about electrolysis there is plenty of information available on our website, just follow the links below.